All you need is five minutes to conduct a brand assessment that will give you a clear understanding of how cohesive you’re branding is and where you can make some quick and easy updates. When a potential client visits your website or social media, you’re providing them with an experience and giving them a preview of what it’s like to work with you. From the graphics that you share to the way you communicate, each touch point is an extension of your brand. Imagine this, you’re looking to outsource your bookkeeping – you go to their website and the graphics are bright and playful and attention-grabbing. Then, you navigate over to the Instagram feed and find dark and moody pictures with captions that don’t mirror the voice that you saw on the website. Wouldn’t you be left wondering which one is authentic? Which person would be showing up if you decided to work together? In the age of the digital business, you cannot afford to have inconsistencies in your brand. It sends an unclear message to your target audience and doesn’t communicate your brand story in an effective way. Telling your brand story cohesively doesn’t happen overnight. It’s something that you will continually refine and tweak and update. To help guide you in the right direction, take five minutes and conduct a brand assessment. This will give you a clear understanding of where you’re at and where you can make some quick and easy updates. 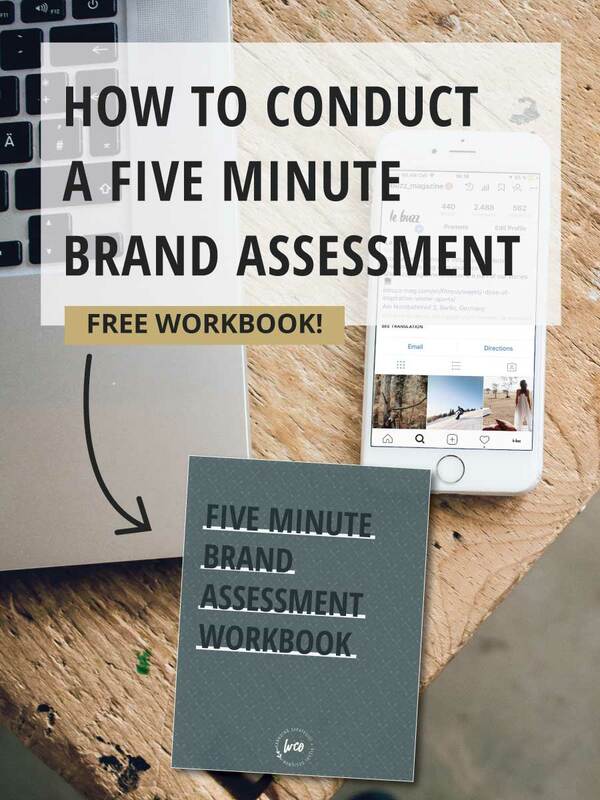 Before you dive in, make sure to pick up the FREE branding assessment workbook that goes along with this post! Go to your website and look at the top three most visited pages. Are the images the same style? Are the accent colors the same or within the same family? Pull up the social media accounts you’re active on (and get rid of those that you aren’t already). Is your profile image the same on every channel? Grab the last five posts for each channel and check if the images are the same style? Are you using the same fonts and colors in your graphics? Take a look at the captions, what words are most prominent? Once you’ve taken a inventory of your website and social media channels, how does your brand stack up? Are your profile images all over the place? Are your graphics inconsistent? Do you talk in the same tone and voice throughout your site and on social media? First, it’s okay if there are inconsistencies. That’s why we do these assessments – you need to know where you’re at in order to learn where you need to go. Slowly work through your list and make updates. It’s not something that needs to be done overnight and shouldn’t be overwhelming. Pick the low hanging fruit: profile images. Make sure they’re the same on every social platform and on your website blog. Then, take a look at font. This one is a biggie that I see often. Pick a heading font, a body copy font and an accent font. Make sure it’s the same everywhere – on your website, social graphic templates, Pinterest graphics…. Make a template and stick to it. Up next is photography style. Is the editing and styling inconsistent? There are some great free stock photography sites available (check this post for my favorites), allowing you to easily update until you can get them updated yourself (or have a brand photographer step in). Last up is your brand voice. This one is usually the most challenging, especially if you’re not sure what it is. I’d encourage you to think about how you want to communicate – are you edgy, soft spoken, affirmative, inspirational, entertaining, sarcastic… the list can go on and on. The point is that you’re remaining consistent in the way you’re communicating to your audience. A brand is fluid and as your business changes, so will your branding. 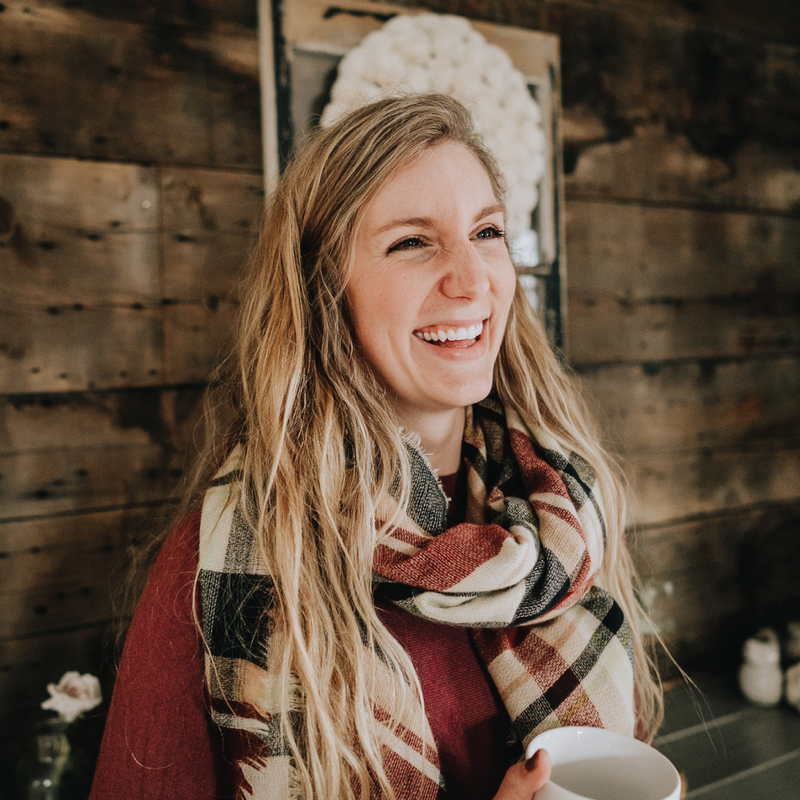 When we talk about cohesive branding, it doesn’t mean rigid and stale – it’s about sticking within a set of guidelines so that if someone visits your website and then hops over to Facebook, they see the consistencies and build a connection. Because, at the end of the day, that’s what matters – creating a relationship with your audience in an authentic way. I needed this today, been revamping my website and this brand assessment will help me so much with making sure everything is consistent. thank you! This is amazing! Thank you for sharing it — such a great idea!